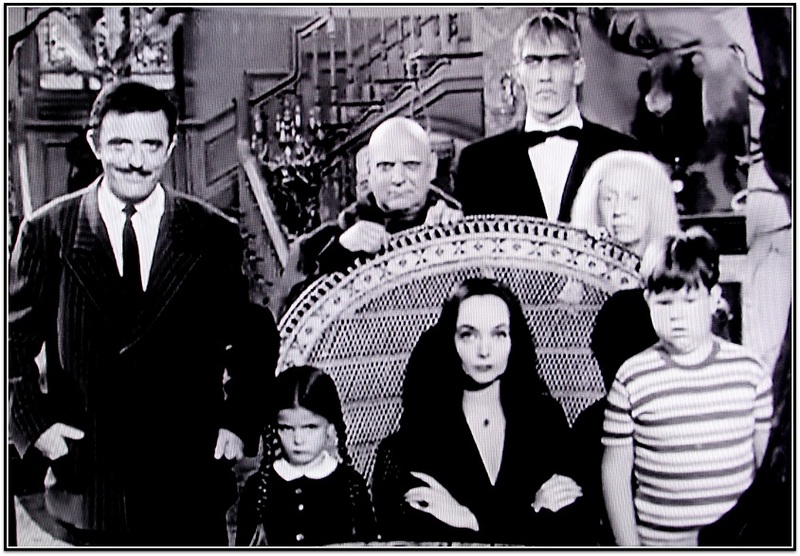 October 15, 2010 – Watch the Halloween episodes of the original Addams Family television series for Halloween? Why have I not done that before? Oh right, because never before in the history of history have we enjoyed such rapid and even instant access to just about every shred of entertainments past thanks to the Internet, Netflix, on demand, pay-per-view, countless cable channels, and general DVD glut. In this case, the entire Addams Family series run, complete with Halloween episodes, was on Netflix Instant Watch, so we pulled a few bottles of hard cider out of the fridge and instantly watched them. Based on a New Yorker cartoon strip by Charles Addams, The Addams Family aired from 1964 to 1966 and told the story of an eccentric, macabre family with a zeal for life and the conventional society that found them strange, terrifying, and dangerous...in a lighthearted, set-up-and-punchline sort of way. I personally encountered The Addams Family during some random summer of syndication, where I caught up with most of what TV Land has tricked us into calling "classic TV." All those years of school, and it was the summer breaks watching blocks of I Love Lucy and I Dream of Jeannie reruns that formed the person I am today. 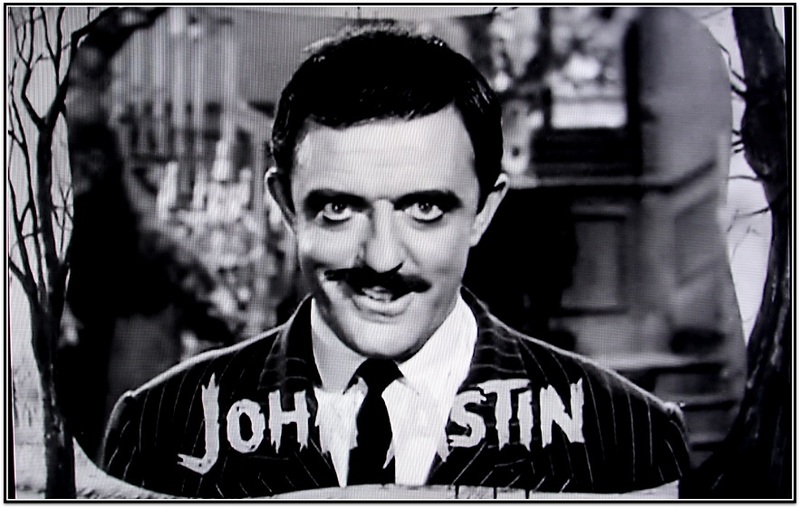 Watching The Addams Family for the first time in decades reminded me that there is a lot to love about this show, even now, when I've been inured by rapid-fire dialogue, cherry-picked cultural references, and thick self-referential humor. Sure, the pacing is a bit stilted, like all shows of that era, and sometimes they lean a bit too hard on their gags instead of subtly selling the jokes, but the charm of the show survives much more intact than many of its contemporaries. After all, you can’t fault it for being dated. 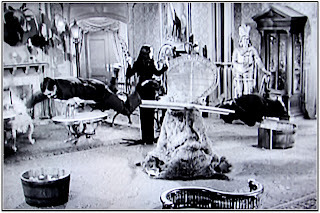 With The Addams Family, "The world’s not like that anymore," is a completely irrelevant criticism because the world was never like what it was inside the Addams house...and more’s the pity. Could somebody who is 80 and British let me know if I used that phrase correctly? Even their creepiness is unique and unforced. Ooky turns out to be the perfect non-descriptor for them. After all, it’s easy to fake weird. It’s hard to actually be so. Everything they find pleasurable, whether it’s playing with dynamite or relaxing in medieval torture devices, they find exquisitely so, as opposed to decadently so. Of course, just about everything we find bad and worth avoiding about life, they find good and embrace it, but that’s not because they're contrarian. It’s because they find more good in more things, like children…with the exception of blandness, that is (also like children). They hate that. Among those exquisite pleasures are, strangely enough, kindness and compassion. Sure, they might try to skewer you with a sword or feed you to a carnivorous plant, but it’s because they think you’ll derive as much pleasure from it as they do. And at the very least it will fight off the blandness for you. 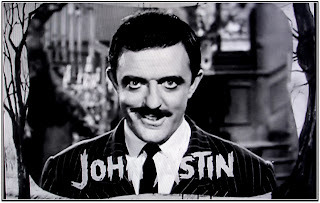 As to the characters, while they all bring something to the Addams family dinner table, and as much as I like the dish best served cold who is Morticia and the perennial agony and befuddlement of Lurch, Gomez Addams carries this show on his pin-striped back. You know that enlightened third eye concept present in Hinduism and Buddhism? Well, Gomez had two of them, each outlined in black eye-liner and never blinking, voraciously eating up everything he saw. 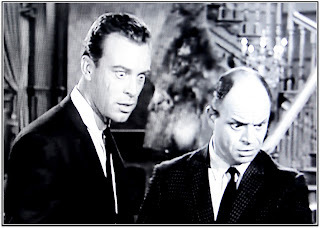 Sure, it’s the gaze of a maniac, but it’s also the look of one whose imbibing wonders, like one’s first glimpse of the ocean or a skyscraper. Gomez looks at everything that way and leads a richer life as a result. 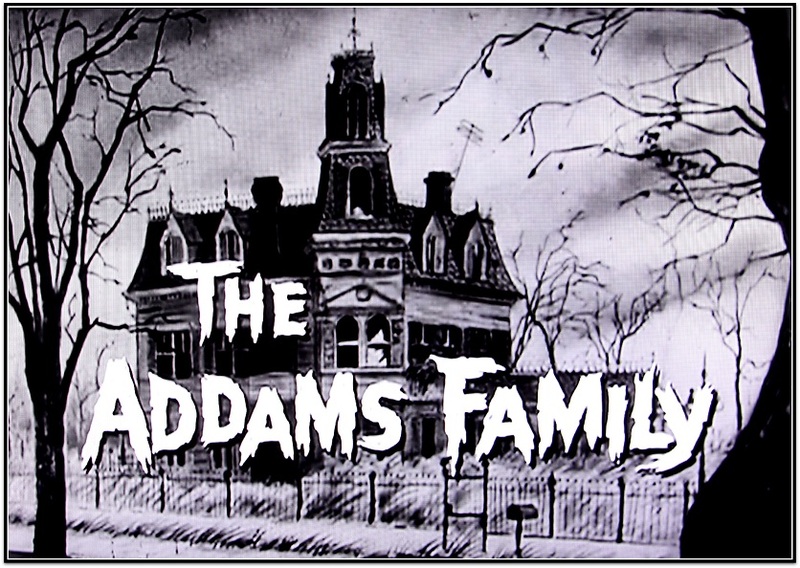 It surprised me at first that something so entrenched in popular culture as The Addams Family only ran for two seasons (64 half-hour episodes). But then I remembered that like every other entertainment property, it has been recycled over and over, in this case into three movies, two cartoons series, a second television series, and, most recently, a Broadway play. I regularly make fun of professional sports as a hamster wheel, recycling the same stuff every season, but I guess we can do the same thing with our stories. But two seasons means two Halloween episodes. And what could be more in the Halloween spirit than spending the holiday with the Addams. Turns out, a lot of things. Even though Halloween is central to the plots of both episodes, the Halloween ambiance is definitely lacking. The only visual nods to Halloween are a pumpkin carving scene, some apple bobbing and a little trick-or-treating. Of course, I get the joke. 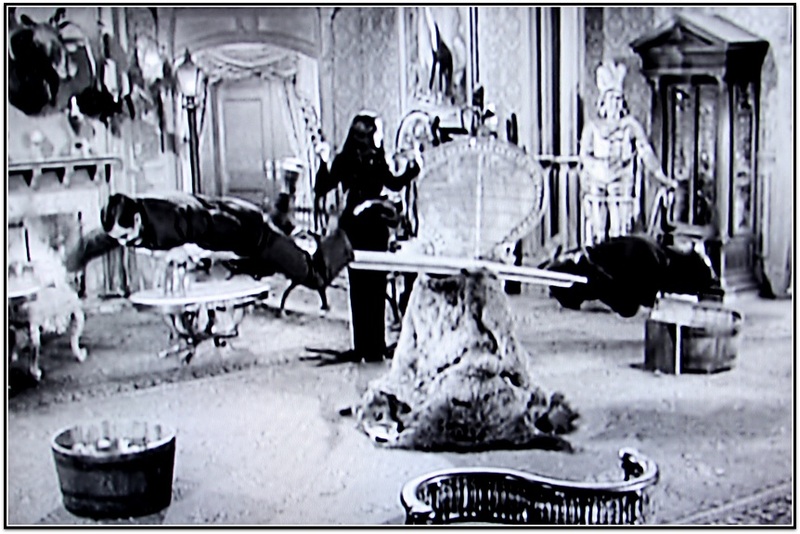 The Addams family is in a constant state of Halloween, so their house and lives are pretty much unchanged on this night. Still, it would have been nice to have more Halloween about for the benefit of my life. The first Halloween episode, Halloween with the Addams Family, guest stars Don Rickles as one-half of a pair of thieves. As funny as that guy is, he will always be the violently ashing vampire from Innocent Blood to me. Please go watch that scene. 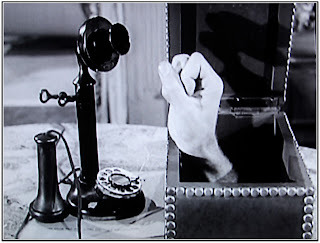 The plot involves a pair of thieves who must decide between having to face the frying pan of the cops or the fire of the well-meaning Addams family. Highlights include when Gomez discovers a ton of cash in what he assumes to be their trick-or-treat bag, and he embarrassedly puts the apples he was going to give them away and grabs handfuls of cash from his desk drawer to add to their trick-or-treat loot. Also, his response to the police who tell him that they’re on a manhunt: “It’s a nice night for it." 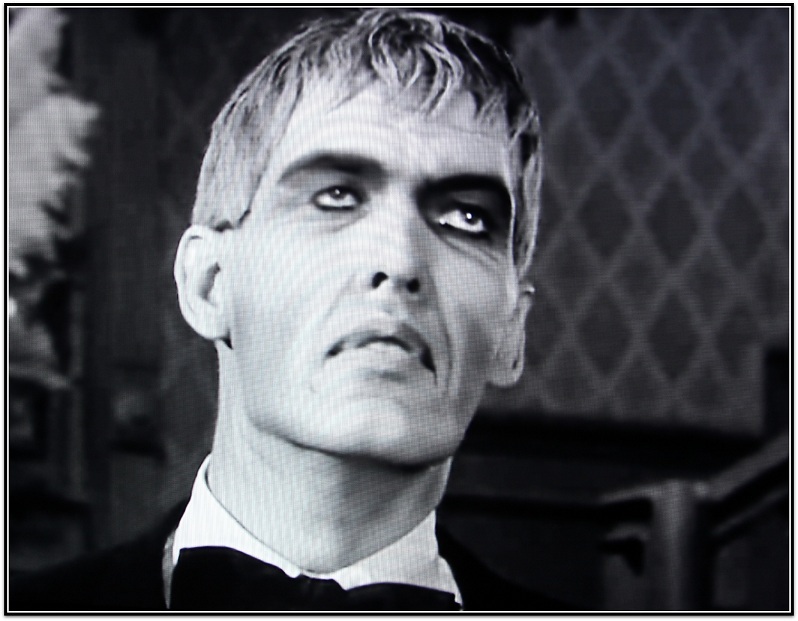 Once again, it's blandness that disturbs the Addams. When the children Pugsley and Wednesday come down to show off their trick-or-treat costumes (an adult business man and a nicely dressed little girl), their parents seriously consider not letting them out for fear of scaring the neighbors too badly, even going so far as to making them announce to people that they are only little children under those costumes. The second Halloween episode, Halloween, Addams Style, starts off by audaciously recycling the pumpkin carving scene footage from the first Halloween episode, but then moves to its own storyline about trying to find a witch after Wednesday comes home distraught from trick-or-treating after hearing that witches don’t exist. Highlights include Gomez’s response to being called “Nuts” (“I can respect that point of view”) to Lurch communicating “from the dead” in falsetto to one of the most brilliant variations on bobbing for apples that I’ve ever seen. It involves a see-saw. 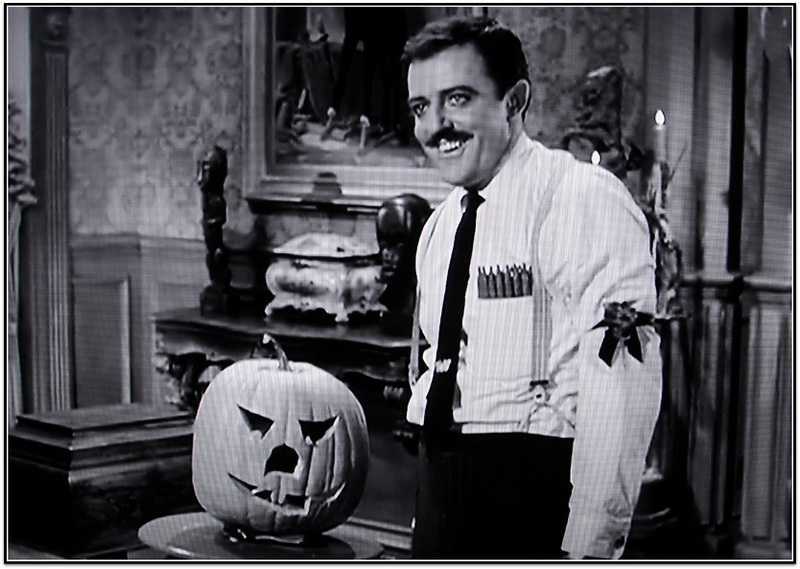 So even though it’s always well-worth it to watch the original Addams Family series, there’s no real bonus for timing their Halloween episodes for Halloween. The possible exception to this might be the full-color Halloween special that the cast reunited for in 1977. However, I’m not sure about this because it’s only on YouTube and my computer isn’t in front of my couch and doesn’t have a screen of at least 48”…a prerequisite for me for watching movies. The rumors of our advancement as a species have been greatly exaggerated.